Speed traps on American roads are a nightmare for motorists desiring to drive faster than the maximum allowed speeds. If you would like to over speed, but do not want to get a speeding ticket, you need to invest in the right gadgets. Radar detectors are devices that are designed to detect police speed traps and notify you as you approach the traps. However, there is a growing concern among American motorists as to whether these gadgets are legal. So, are radar detectors legal in the USA? Well, over speeding is illegal in all the states. While radar detectors encourage over speeding, you will be surprised to learn that they are still legal in most of the states. Prior to buying one of the best radar detectors available today, it is advisable to check the traffic laws in your state. This will help you ascertain whether these gadgets are illegal or not. To help you understand this, here is a breakdown of radar detector laws in the various American states. 2 What is a Radar Detector? 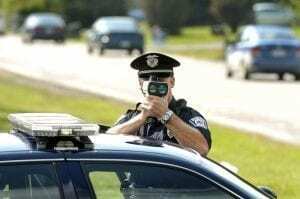 3 Which States Consider the Use of Radar Detectors Illegal? 4 Why Are Radar Detectors Illegal in These States? Some of the leading radar detectors in the market will let you know when you are approaching police radar. Notifying you from a safe distance allows you to slow down, hence avoid getting a speeding ticket. Radar jammers, on the other hand, are designed to jam the radar signals produced by police radars. Funny enough, radar detectors are now legal in most states and only illegal in a few of them. This does not apply to radar jammers. Since 1996, radar jamming has been considered to be a federal crime and is considered to be highly illegal. This being the case, owning a radar jammer will attract fines of at least $50,000 and imprisonment. This is something you should avoid at all cost. The safest way to go about it is using the best radar detectors—provided that they are legal in your state. These are relatively small electronic contraptions that are designed to alert you whenever you are approaching highway patrol or police officers. Most of these devices are meant to be used in the cabin of your vehicle and will light up and produce a sound notification whenever they detect police radar signals. While some of the high-end detectors are very accurate and dependable, they are not always foolproof. This may be attributed to the fact that most of the radar detectors are only designed to pick up signals from radar guns. However, police officers currently used different ways to ascertain the speed you are driving at. With such a device in your vehicle, it will notify you whenever you are approaching a speed gun. This gives you time to adjust to the required speed limit before the police officer spots you. However, you first need to check whether it is okay to own one. Which States Consider the Use of Radar Detectors Illegal? Traffic laws governing the use of speed radars are comparatively consistent in all the State. However, there are some states that simply do not allow the use of these gadgets in vehicles. There are some cases where the use of speed radars may be allowed in certain vehicle types and banned in other vehicle types. The use of radar detectors in California and Minnesota is legal. However, it is illegal for drivers to mount their detectors on the windshield of the car. Basically, traffic laws in these states prohibit drives from attaching any item onto the windshield of any vehicle. According to such regulations, items attached to the windshield can obscure the driver’s vision. Therefore, you can have a radar detector anywhere else in the cabin, but not on the windshield, if you live in California or Minnesota. As opposed to the two states mentioned above, the use of radar detectors in Virginia is entirely illegal. 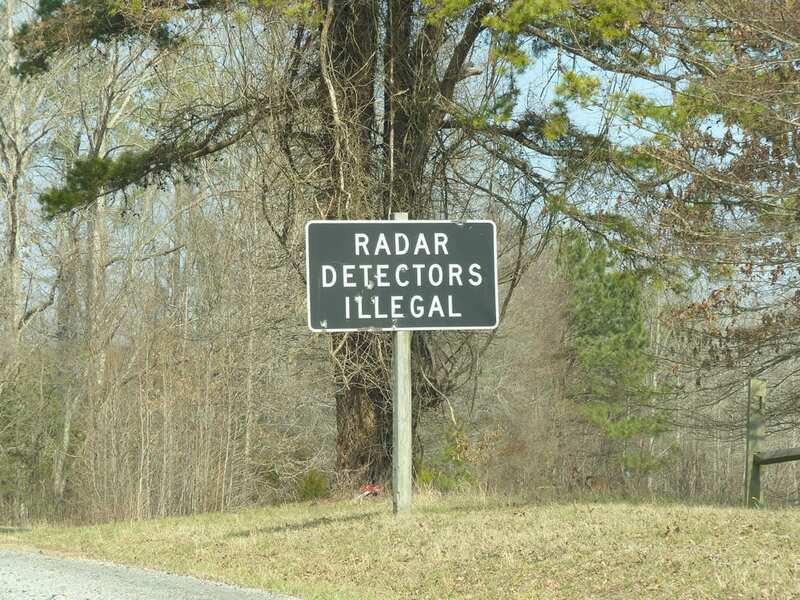 In Virginia, drivers are not allowed to use a radar detector in any type of vehicle. If you happen to be caught with a radar detector in this state, you will be given a speeding ticket; whether you were over speeding or not. In addition to getting a speeding ticket, your radar detector will also be confiscated by the police. You will also realize that the sale of these devices is Illegal in most parts of the state. The legality of using a radar detector in Illinois, New Jersey and New York will depend on the type of vehicle you are using it in. In these states, it is illegal to use these gadgets in any commercial vehicle. If you are caught using the device in a commercial vehicle, you will be given a speeding ticket regardless of the speed you are driving at. 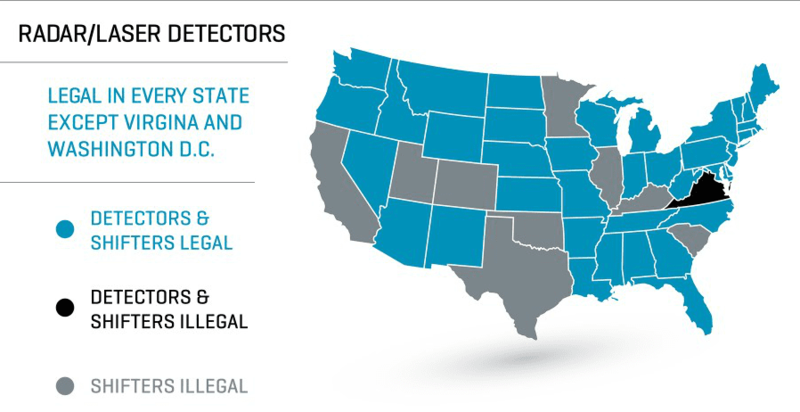 However, the use of radar detectors in private vehicles is legal in these states. Using radar detectors is considered to be legal in Texas. However, these gadgets should not be used in commercial vehicles. Why Are Radar Detectors Illegal in These States? It is obvious why radar detectors are banned in some states today, right? Basically, drivers acquire the gadgets for them to be able to over speed without getting tickets. Based on statistical findings, motorists with radar detectors in their vehicles are more likely to cause accidents than the ones that do not have them. This being the case, the banning of the devices in some states is aimed at reducing recklessness and speeding by drivers. Without these gadgets in their vehicles, drivers will be compelled to drive within speed limits so as to avoid getting tickets. 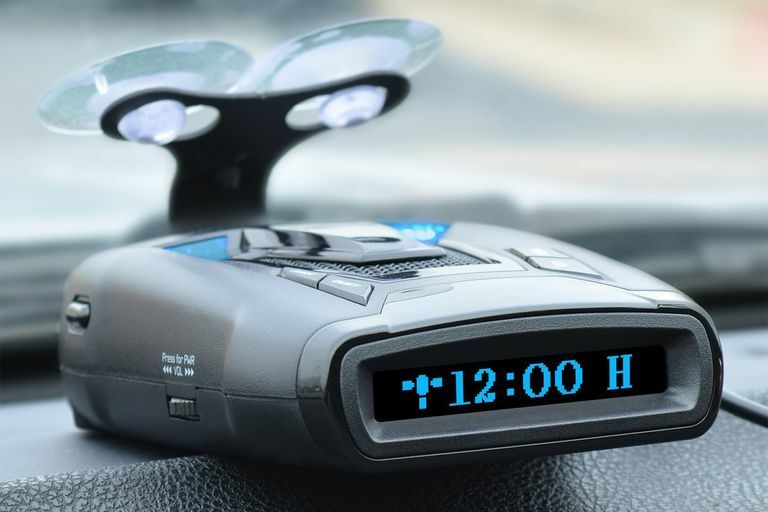 While the use of radar detectors is either limited or prohibited in the 7 states mentioned above, all the other states allow these gadgets to be used in various vehicles. Basically, radar detectors are legal in 49 of the 50 American states. However, the legality of these gadgets in some states may be limited to certain applications only. Other than the 7 states mentioned earlier in this article, the use of radar detectors in the other states is legal without commercial vehicle or windshield mounting restrictions. Again, there are certain federal laws that prohibit the use of these devices in commercial vehicles, exceeding 10,000 pounds. If your vehicle is within this category, you are not allowed to use a radar detector, regardless of the state you are in. Generally speaking, radar detectors will come in handy when it comes to avoiding police speed traps and speeding tickets. However, getting caught with such a device in your vehicle can also be a crime on itself. Depending on the state you are in, the use of detectors may be legal, illegal or just limited to use in certain vehicles only. Regardless of where you live, the use of radar signal jammers is a crime and will land you in trouble. Instead, you should consider buying the best radar detector and use it only where they are allowed. To be on the safe side, you need to understand the laws governing the use of radar detectors in your state.